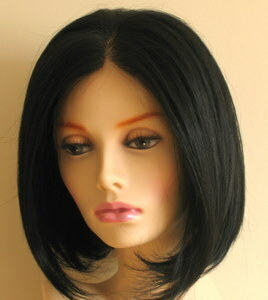 If you’re looking for information on short wigs then you’ve come to the right place. 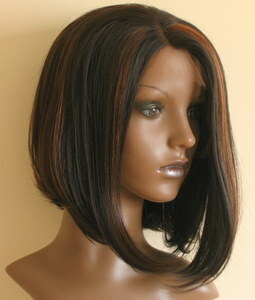 Short hair wigs are great for those who are used to having short hair, or used to have short hair before they lost it. Here at Peruke, we don’t try to mandate who should wear what as that comes down to personal choice; however we do know a thing or two about complementary styles. You might have noticed that wigs aimed at women over the age of 60 tend to be cropped close to the face and if you like this look that’s fine, but there are alternatives. Shorter styles are also easier to manage for children and can be a really chic look for women too, it’s important to remember that style will prevail over length. Sleek little bob cuts with off centre fringes are a great alternative to tiny cropped hairstyles. As are sixties' style bobs. 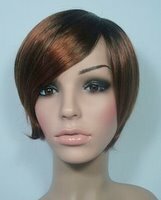 Fringes (or bangs) soften the face but short styled wigs without fringes/bangs that have off centre partings also achieve the same effects. If you feel brave enough you can always buy a longer length of wig and have it razor cut to a style that suits you most – there’s no reason to think that a ready-made wig is the only way to go. A great look for those with oblong or rectangular faces is to wear short to medium lengths as longer hair can sometimes make the face look longer. 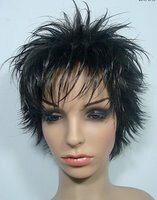 Fullness to the sides of your face and fringes (bangs) also make longer faces appear shorter. Round shaped faces can wear short lengths that suit the face shape by going for hair that ends just beneath the chin, adding height or volume at the crown and wearing off-centre partings. Heart shaped faces can wear short lengths although anything shorter than the chin can make the chin appear narrow. You can however counter this by using side and off-centre partings or use side sweeping fringes (bangs). Not all shorter wigs are straight hair wigs, so why not check out wig texture guide for ideas about the different textures that can be worn with shorter lengths. It's important to experiment and see what makes you feel most comfortable. 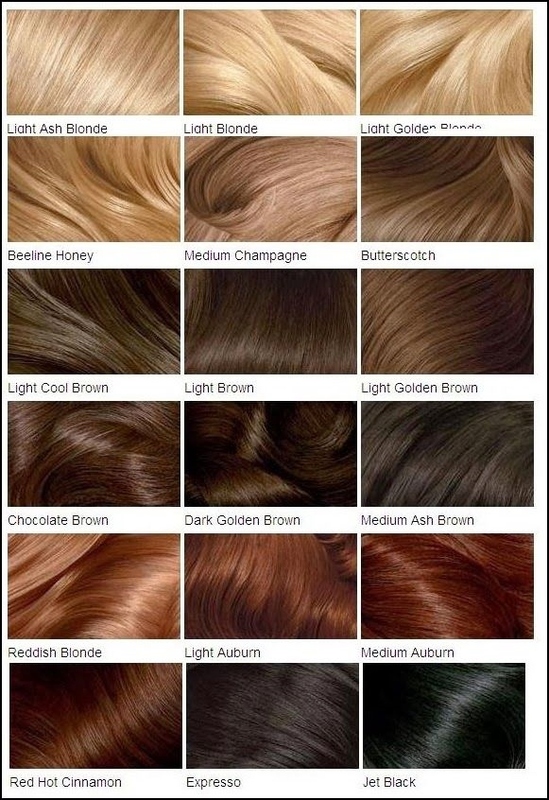 The range of colours for shorter wigs is the same as any other lengths and if you're not sure which colours would suit you then check the hair colour and skin tone chart article which also outlines the colours that complement different skin tones (click on image to enlarge). Human hair wigs will always require a bit of extra TLC and require that you spend time styling them as the style isn't set. In order to maintain a human hair wig, the right types of moisturizers and styling tools should be used on the wig. Despite the fact a wig is shorter in length, it still needs to be washed with the same frequency as a longer wigs depending on how often you wear it and the activities you undertake whilst wearing it. 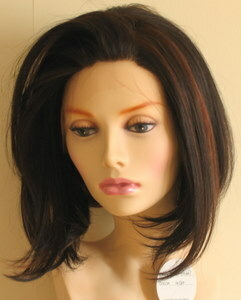 Synthetic wigs on the other hand come pre-styled and will keep their style, so you just shake, wear and go. 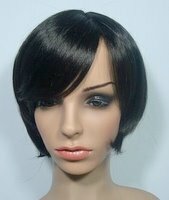 In addition short wigs are relatively easy to maintain. There you have it, the guide to short wigs in a nutshell! There's more information in the Lace (and traditional) Wig Q&A section as well as the navigation menu, or if you'd like to keep up to date with the next guide about hair weave, hair extensions, wigs and hairpieces then join our blog – no personal info required.